Although it’s hard to know if a movie sequel will turn out like its forerunners, Softwood Lumber V is certainly proceeding with the same formula as the past. The first step being a US International Trade Commission (ITC) determination that “there is a reasonable indication that a U.S. industry is materially injured by reason of imports of softwood lumber products from Canada that are allegedly subsidized and sold in the United States at less than fair value”, which arrived on Friday. Next up: The ITC presents their views to U.S. Department of Commerce on January 17, which is just three days before president-elect Donald Trump’s inauguration. What could wrong? In other news, the iconic ‘tunnel tree’ in California State Park is no more “after a powerful winter storm rolled through Northern California“. The tunnel in the giant sequoia was carved into its broad base 137 years ago. Prime Minister Justin Trudeau’s most trusted lieutenants have held talks with top advisers to U.S. president-elect Donald Trump in an attempt to avert a costly trade war between the neighbouring nations. Mr. Trudeau’s principal secretary Gerald Butts, chief of staff Katie Telford and Canada’s ambassador to the United States, David MacNaughton, have met several times in Washington, in what have been described as bridge-building talks with Jared Kushner, Mr. Trump’s son-in-law, and Stephen Bannon, chief strategist and senior counsellor to the incoming Republican president… The talks are part of a charm offensive at the senior-most levels in Ottawa to shield Canada’s economy from the impact of protectionist policies espoused by Mr. Trump against China and Mexico, including his pledge to renegotiate or pull out of the 1994 North American free-trade agreement. MONTREAL — The U.S. International Trade Commission says it has found there was a reasonable indication that softwood lumber products from Canada materially injured American producers, setting the stage for the imposition of preliminary duties that softwood producers fear could impact Canadian jobs. The trade commission announced Friday that it made an initial determination of harm from Canadian lumber that is “allegedly subsidized and sold in the United States at less than fair value.” It said the U.S. Commerce Department will continue anti-dumping and countervailing duty investigations launched Dec. 16 into the imported products. “In the final phase, which is a much longer and much more in-depth investigation, the commission will make a determination whether the U.S. industry is injured by reason of the imports,” said spokeswoman Peg O’Laughlin. The preliminary finding could force U.S. importers of Canadian lumber to pay cash deposits to cover preliminary countervailing duties in early March, followed in mid-May with deposits for any anti-dumping duties, unless the deadlines are extended. The B.C. government will continue efforts to negotiate a new softwood lumber trade agreement, after the U.S. International Trade Commission upheld the U.S. industry’s claim of “injury” due to alleged unfair trade practices by Canadian producers. The latest complaint, the fifth by the U.S. lumber industry, accuses B.C. and other provinces of “dumping” lumber below market value, and subsidies based on the price of logs on Crown land. The finding means the U.S. could impose countervailing duties as early as February on B.C. lumber exports, which make up half of Canada’s sales to the U.S. It also means the U.S. Department of Commerce will continue its investigation of Canada and its producers. Forest products are part of the economy for 140 communities and provide 65,000 jobs in B.C. Forests Minister Steve Thomson said trade protection would increase lumber prices for U.S. builders as their housing market recovers. Forests, Lands and Natural Resource Operations Minister Steve Thomson has issued the following statement today in response to a ruling by the U.S. International Trade Commission: “The U.S. International Trade Commission today has announced a finding of ‘injury.’ As a result the U.S. Department of Commerce will continue its investigation into Canada and Canadian softwood lumber producers for what can only be described as unfounded allegations of unfair trade practices.“These are allegations that, time after time, have been proven to be false before NAFTA and World Trade Organization tribunals… “With forecast for continued increase in U.S. housing starts, the U.S. needs our lumber and penalties only hurt housing affordability for middle-class Americans by raising building costs. Softwood lumber exporters are watching closely. Companies may have to prepare for new duties, after a preliminary ruling by the U.S. International Trade Commission.Media reports say the Canadian industry could face a slowdown, due to added production costs and increases in prices in American markets, as a result of last week’s ruling… In order to reach a new deal, there are reports the Americans want to see the Canadian share of the market capped at 25 per cent of their market. Along with pursuing talks, Trade Minister Chrystia Freeland is also said to be considering a return to the World Trade Organization. Freeland has note the Canadians have yet to lose a case in litigation. The United States International Trade Commission (USITC) today determined that there is a reasonable indication that a U.S. industry is materially injured by reason of imports of softwood lumber products from Canada that are allegedly subsidized and sold in the United States at less than fair value… As a result of the Commission’s affirmative determinations, the U.S. Department of Commerce will continue to conduct its antidumping and countervailing duty investigations on imports of these products from Canada, with its countervailing duty determination due on or about February 20, 2017, and its preliminary antidumping duty determination due on or about May 4, 2017. Estonian exports of rough-sawn and planed softwood lumber decreased by 4% in the third quarter of 2016 to 155,046m³. According to Eurostat, deliveries to EU countries declined by 8% to 106,176m³ and by three percentage points to a proportion of 68% of total exports. In this connection, declines in exports to countries such as Latvia (-18%) and Great Britain (-13%) contrasted with increases in deliveries to the Netherlands (+28%) and also to Germany (+18%). The decreases could in no way be compensated by a 5% increase to 48,888m³ in deliveries to non-EU countries. CALGARY, Alta. — If you were to build a home today – one you would want to stay in for decades – then it’s fair to predict you would want more than marble countertops. In the age of climate change and soaring energy prices, homeowners have to worry about better fire and flood resistance, the greatest possible efficiency and even the ability to generate power. These priorities, however, are at odds with the pressure Fort McMurray is under to get some structures up and running. It needs to replace 2,400 structures destroyed in the May 2016 fire, and it can’t take a decade to do it… Some construction changes, however, cost little or nothing more. A fire-resistant roof made of steel, for example, is simple way to add a little protection to a home, as is cement-based HardiPlant siding. Fire resistance is top of mind for me as I sit in a home with walls of OSB (a wood-and-glue product) and vinyl siding – making it a matchbox just waiting to ignite. If my own house were built today, these are not the materials I would choose. It will be all labs all the time for students — at least in one new modern building at Montana Tech. The $10-million Natural Resources Research Center (NRRC) promises to shed light on what goes on behind closed doors in cryptic laboratories… Rob Smith, Tech construction manager, said furniture and lab equipment — some of it cutting edge and technical — will be moved in gradually from the Engineering Lab/Classroom Building, Science and Engineering Building, and Engineering Hall. Smith said NRRC is a “Green Globes building,” meaning energy-efficient LED lighting, reflective windows, and a Green Globe sustainability certification… Another cutting-edge space is a Composite Testing Room upstairs that will enable students and instructors to use renewable woods. Wood is making a comeback in several engineering and manufacturing areas, from skyscrapers to bicycles. Two-wheeled wooden transport is going from purely a novelty to serious manufacturing as more companies enter the field. They are engineering bikes that not only offer no compromise over traditional metal or more modern carbon fiber frames, but also they are adopting sophisticated construction techniques that pair the beauty, warmth and shock-absorbing qualities of wood with the simple advanced technology of the most efficient transportation device man has ever invented. The fate of the last great mega fauna in B.C. during this sixth extinction is not looking great. While immigrating to B.C. on a long, long cold drive from Alaska during January of 2010, I had the most amazing moment anyone could witness. Driving down the highway with my white knuckles gripping the steering wheel from passing logging trucks, my truck’s heater on high but only barely able to provide enough frost-free window space to be safe on the road during the minus-40 weather, unexpectedly after I summitted a peak, I was surrounded by a flowing heard of ungulates that reminded me of flowing water as they moved across the road. These ungulates were the mountain caribou, also known as woodland caribou. 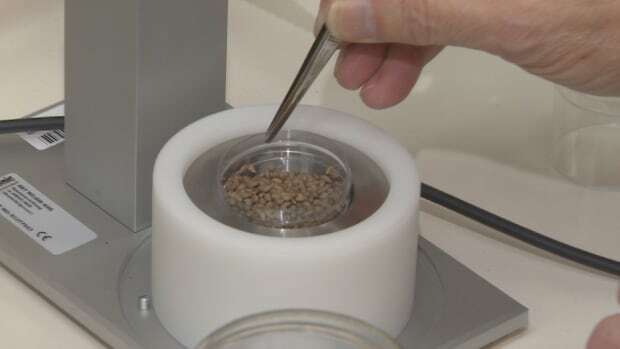 One of the largest compilations of seed species in the country is stored in Fredericton, where the National Tree Seed Centre is celebrating its first 50 years. The seed branch of Natural Resources Canada provides seeds for researchers across the country, and the world. Sometimes the seeds can be used to help reforestation, other times it’s for research. And the centre has research of its own, said Dale Simpson, the manager of the seed bank. Twelve years ago, Simpson started collecting ash seed, after the emerald ash borer started destroying the ash tree population in Ontario. Toronto’s trees are an under-appreciated asset, vital to both our psychological and physical health. It can be hard to tell in the bleak mid-winter, but one of the glories of Toronto is the millions of mature trees that cover almost a fifth of the city’s area. A new international project has now confirmed what we already suspected – that when it comes to trees we are indeed wealthy. Researchers at the Massachusetts Institute of Technology, in collaboration with the World Economic Forum, compared the tree coverage in a dozen cities and found that Toronto ranks fourth – behind only Vancouver, Geneva and Seattle… But it’s not something we can take for granted. 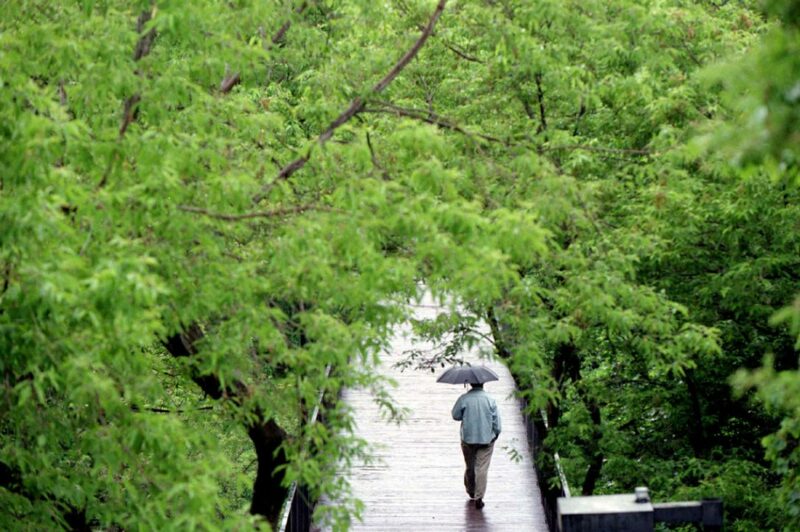 Toronto’s magnificent heritage of maples, cedar, ash, buckthorn, pine and others face a host of threats – from poor soil, “heat island” effects, salt and pests like the Emerald Ash Borer beetle. The toll from the powerful winter storm rolling through Northern California included one of Calaveras County’s oldest residents, a giant sequoia called the Pioneer Cabin. The tree, named for the tunnel that had been carved into its broad base 137 years ago, was located in the Calaveras Big Trees State Park and toppled Sunday. “We lost an old friend today,” wrote county resident Jim Allday, who posted a picture of the fallen titan on his Facebook page. His photos show the tree trunk splintered heavily at its base…. “This iconic and still living tree — the tunnel tree — enchanted many visitors. The storm was just too much for it,” the Calaveras Big Trees Assn. said on its Facebook page. WEST PORTSMOUTH, Ohio — Environmentalists plan to gather evidence of any rare and endangered species in Ohio’s Shawnee State Forest this spring in an effort to fend off proposed logging in the area. The Columbus Dispatch reports experts who study insects, birds and other creatures will engage in what they call a “bioblitz.” It aims to gather evidence of threatened or endangered species in the upper portion of the forest’s Rock Run watershed in West Portsmouth. Oregon’s Department of Environmental Quality drafted a report that identified logging as a contributor to known risks for drinking water quality in communities up and down the Oregon coast. But the report has never been published. It was scrapped by the agency after intense pushback and charges of anti-logging bias from the timber industry and the state’s Department of Forestry, according to interviews and public records… The fate of that report offers a glimpse at what can happen when a state environmental agency’s work runs afoul of a politically influential industry. It also shows how, on certain forestry issues, the agenda of state regulators aligns more closely with the timber industry than with concerned citizens.“It’s unfortunately part of a pattern in which the Department of Forestry has bullied DEQ,” said Nina Bell, of Northwest Environmental Advocates. 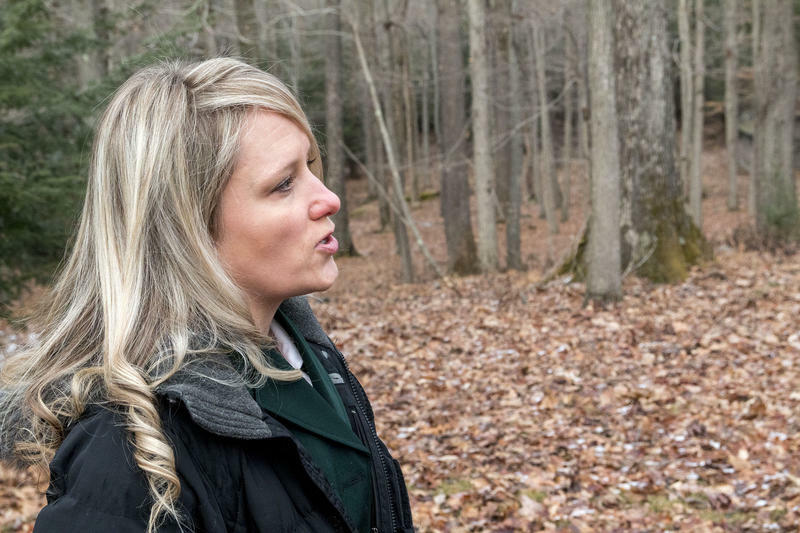 A New Disease Strikes Oak Trees in W. Va.
Last fall, Danielle Martin, a forest pathologist for the U.S. Forest Service in Morgantown, and her colleagues noticed something different about the oak trees in Seneca State Forest. The trees secreted an amber-colored sap, and bore cankers – which look like canker sores – underneath their bark. “We saw a vertical crack with perhaps some weeping, a bleeding appearance – like an amber bleeding – and that’s when we’d remove the bark and look for cankers,” Martin said. Martin worked with Matt Kasson, an assistant professor of forest pathology at West Virginia University, and his graduate students to diagnose those trees with diplodia corticola. Diplodia corticola is an aggressive disease that limits the ability of oak trees to access essential nutrients and water, ultimately killing them. Not everyone’s idea of a retirement present, perhaps, but three years ago Hamish Ross bought himself a wood to the east of Windermere, roughly triangular and bordered by a dry-stone wall. …As we walked along, he pointed out the line of 10 conifers he’d kept for shelter – all that remained of an acre of neglected Sitka spruce and larch. With the dense tangle gone, light could once more filter onto the ancient woodland floor, helping the 900 indigenous saplings that Hamish has planted over the past couple of years. Reaching to a couple of metres high, they were woven through the centre of the wood amid mature trees and fallen giants. Timber plantation operators in Victoria will face strict new rules aimed at stopping koalas from being killed or injured during harvest. Increasing numbers of koalas have sought refuge in blue gum plantations around Portland, in the state’s south-west, as their natural habitat has dwindled. Voluntary guidelines for plantation operators were introduced in 2012 to protect the furry marsupials. 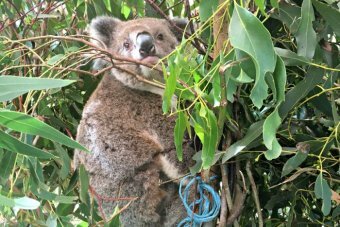 But Victoria’s Environment Minister, Lily D’Ambrosio, said the number of koala deaths had been under reported by plantations and mandatory minimum standards would come into effect by April. ANCHORAGE, Alaska — A type of tree that thrives in soggy soil from Alaska to Northern California and is valued for its commercial and cultural uses could become a noticeable casualty of climate warming over the next 50 years, an independent study has concluded. Yellow cedar, named for its distinctive yellow wood, already is under consideration for federal listing as a threatened or endangered species. The study published in the journal Global Change Biology found death due to root freeze on 7 per cent of the tree’s range, including areas where it’s most prolific. It cited snow-cover loss that led to colder soil. Additional mortality is likely as the climate warms, researchers said. If we are to manage our forests wisely for the benefit of current and future generations, we need to understand the situation of the world’s forests and ongoing trends. The Food and Agriculture Organization (FAO) of the United Nations has gathered data from 234 countries and territories to provide an up-to-date report on about 88% of the world’s forests. The most recent Global Forest Resources Assessment (FRA) showed that from 1990 to 2015, global forested area declined by 129 million hectares (ha) or 0.31% of the world’s forests. Keep in mind, however, that over the same period human populations grew from 7 to 9 billion people (a 40% increase) and the demand for food and land increased significantly.